Cristian Varela has maintained for more than 20 years an excellent reputation within the international electronic music scene. One of the friendliest characters you´ll meet, his experience and innate talent have gained him a privileged position amongst his fellow peers within the electronic music scene, and is fast becoming one of Spain’s best exports and ambassador to the techno scene. A DJ, producer, composer, promoter and entrepreneur. A full-on artist! One of Cristians best known qualities extend to his background as a classical composer and arranger. He has been composing music for film, theatre, commercials and shows since 1986, and has released more than 150 music references on major record labels such as Sony / BMG, White & Black, Toolroom, Bedrock aor Intec. Whilst not forgetting he is also head honcho of his own record label - Pornographic Recordings. Cristian Varela has managed to find a perfect balance between the recording studio and his extensive tour schedules. His spectacular and energetic live mixing sets using three and four turntables at the same time are a unique performance to witness. Born in Madrid in 1975, he founded a production company, Phrenetic Society in 1994, stamping his techno style onto the dancefloors of the Madrid music scene, whilst bringing his unique sound and production to Ibiza with his successful brand; Pornographic at Eden club. Currently he maintains his position as a promoter for Electrobeach Festival (Benidorm), one of Europe’s major festivals and Cristian Varela & Friends, the musical project launched in the summer of 2013 at Vista Club, Privilege Ibiza. Constantly keeping uptodate with new technologies, he is also one of the few Beta Testers for Pioneer International and was responsible for introducting Final Scratch at SONAR BCN. Since 1996 he is also a teacher at CEV-Madrid (School of Communication, Image and Sound). 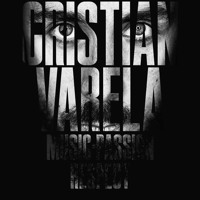 Throughout his career Cristian Varela has been recognised with numerous awards given by respected organisations in the electronic music industry. Amongst them he was presented with Best Techno DJ at the DJ Awards, Ibiza in 2007, plus being voted Best Spanish DJ on many occasions by other organisations. In 2013 for the second time he was presented with the Techno DJ award, voted for by his fans. Cristian Varela Radio Sho ..
Electronic Radio Show specialized in Techno Music presented by Cristian Varela with the most relevant artists, djs and producers in the world. Cristian Varela @ Black ..
Alberto Sevilla @ Crist ..
Cristian Varela @ The S ..